I can't remember why I missed that one time because my memory is getting worse by the day. What I do know is that I have no excuse at all this week for not having a list ready. I thought I had an idea but when I started to try to write, I just wasn't inspired. 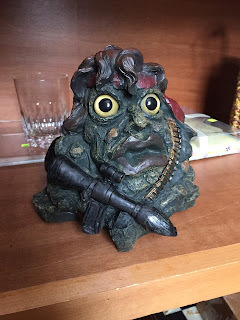 I thought I had the solution--sometimes when I don't have any ideas I look through my recent photographs and just share a list of recent pictures. Aaaand . . . nah. Nothing good. Or at least not five good enough ones. SO. Here's a list of ideas that are either not panning out, aren't long enough yet or I just haven't had time to write. Maybe they will be a future list or maybe I will forget about these, too . . .
Stay tuned for a (hopefully) much better list next week! 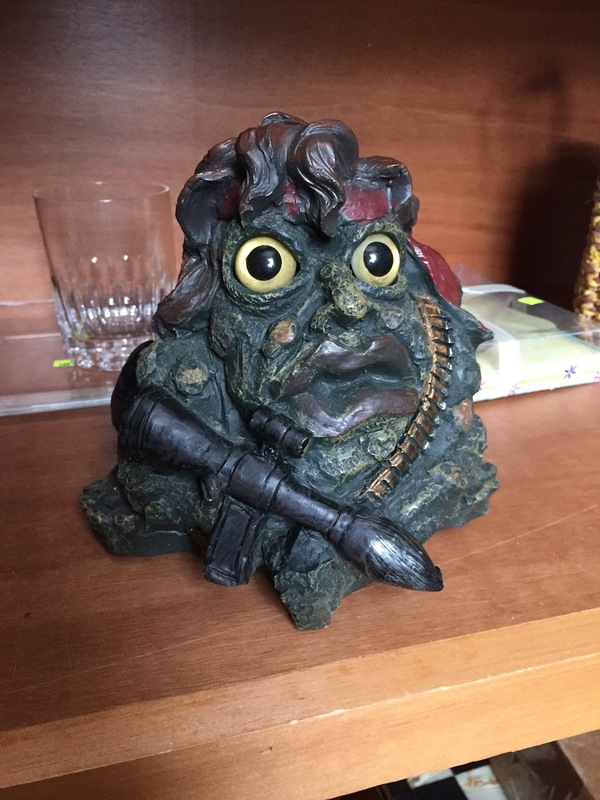 This is a "Toad Hollow Rambo Frog" I saw at the thrift shop. Maybe he'll be on a future list.